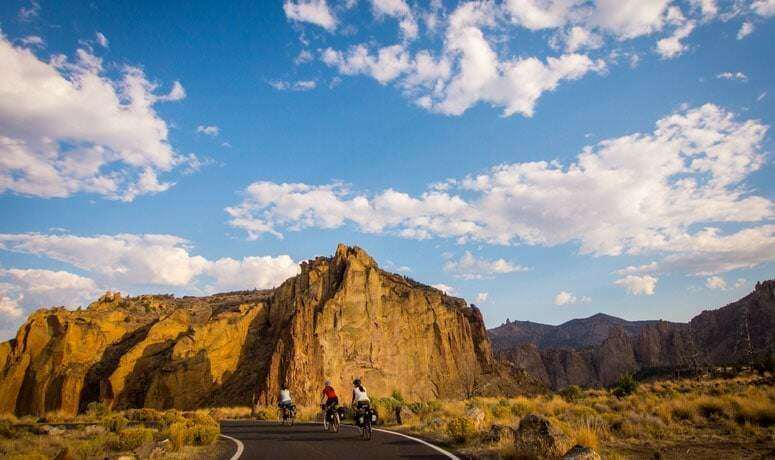 The Sisters to Smith Rock Scenic Bikeway provides riders with one of the most scenic and rewarding rides in Central Oregon. 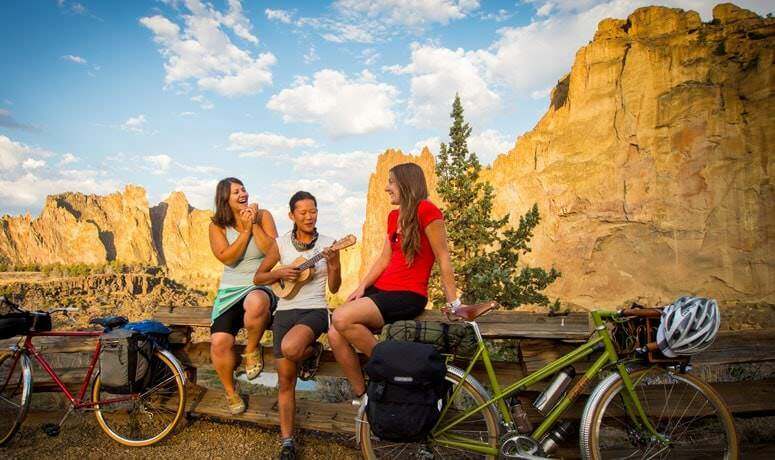 It starts in the “Old West” town of Sisters, where you can get great food, drink, ice cream, quilts, Western art and tourist tchotchkes, and it ends at Smith Rock State Park, where you can get some serious natural awe, a number of hikes, and maybe even a yen to try rock-climbing. There’s a public park at each end of the route, with free parking, enclosed restroom facilities and drinking water (throughout the summer and early fall), so this is a great ride to do with a shuttle vehicle, or as a round-trip with a nice break at the turnaround. 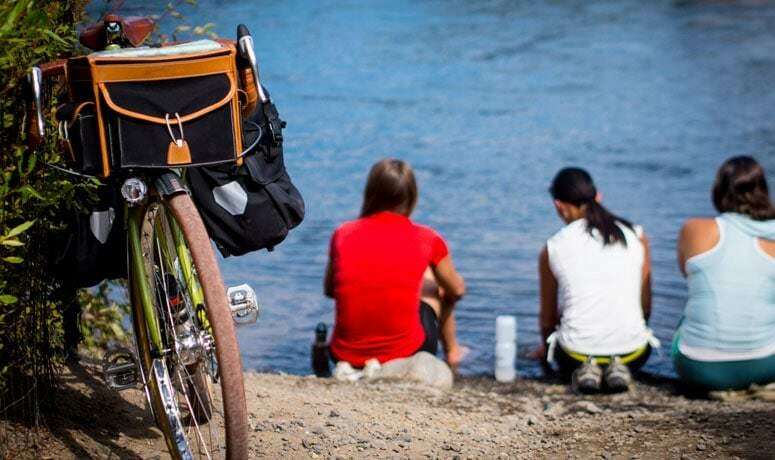 You’ll cross the main highway in the small town of Terrebonne, where you can pick up a nice lunch for a picnic with a view at Smith Rock. Why should you ride this route? 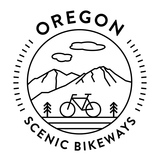 Well, in the bigger picture, it takes you past a variety of historical sites, shows the gentle curves of the Deschutes River and frames spectacular views of the Cascade Mountains, ending with the dramatic walls of Smith Rock State Park. But you’ll also enjoy the small details along the way, like the subtle changes in the terrain. 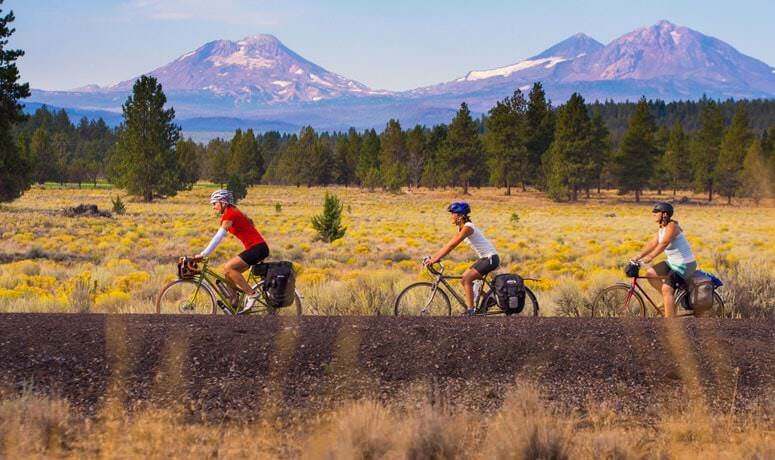 This is high desert country, but you’ll also pedal in a forest, through a rich agricultural valley, and alongside streams and rivers. Pay attention to the beauty of this landscape – the hues of the rocks, the way light plays on the trees and water, and the sounds of the local fauna. When you arrive at the destination of Smith Rock, be prepared to be wowed. Smith Rock, with the Crooked River winding at its base, is the result of eroded volcanoes that left multicolored formations that tower above the valley floor. It’s unlike anything you’ve seen before, and also a great place to watch rock-climbers from all over the world tackle the park’s thousands of ascent routes. You can descend on the fairly gentle trail and cross the bridge for a quick, flat hike along the base. This is a ride that is enjoyable for a broad range of cyclists. The route features varied, rolling terrain with both uphill and downhill sections, rather than a flat ride – although it’s generally downhill from the Sisters end. Overall, you’ll climb 711 feet and descend 1,074 feet, including a stretch of almost 6 miles that features an uninterrupted downhill slope. There aren’t any sustained or treacherous sections that will overly challenge a novice rider. For more information about this area, check out Sisters Country or Visit Central Oregon. Smith Rock State Park offers a bivouac camping area and restrooms with showers.